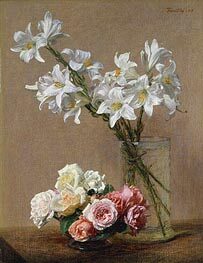 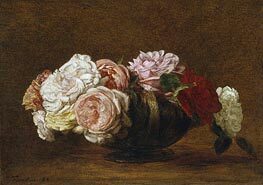 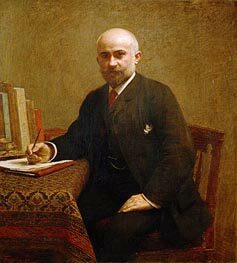 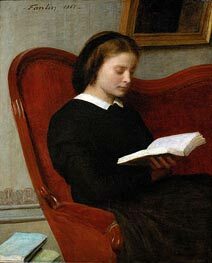 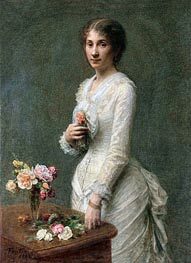 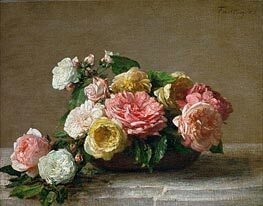 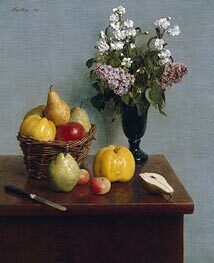 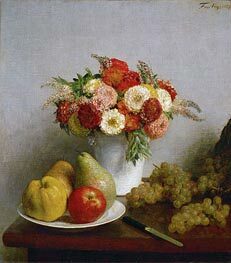 Henri Fantin-Latour (14 January 1836 - 25 August 1904) was a French painter and lithographer best known for his flower paintings and group portraits of Parisian artists and writers. 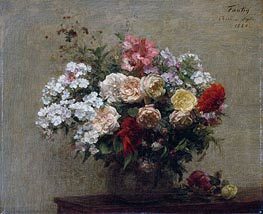 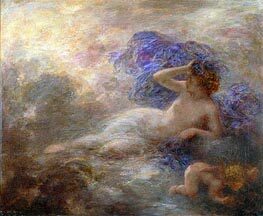 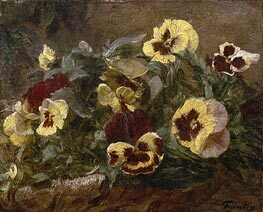 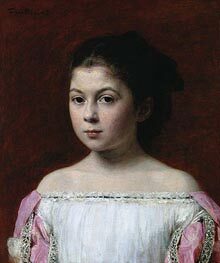 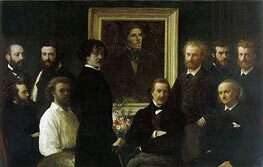 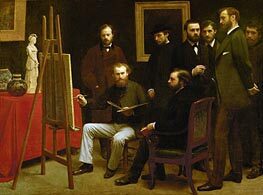 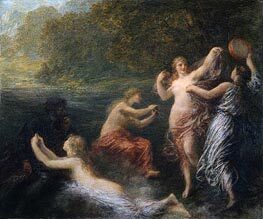 He was born Ignace Henri Jean Theodore Fantin-Latour in Grenoble, Isere. 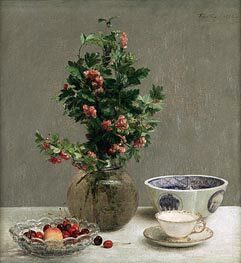 As a youth, he received drawing lessons from his father, who was an artist. 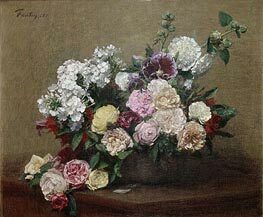 In 1850 he entered the Ecole de Dessin, where he studied with Lecoq de Boisbaudran. 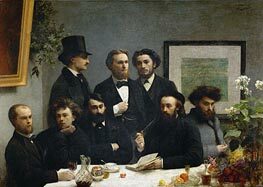 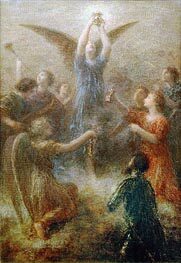 After studying at the Ecole des Beaux-Arts in Paris from 1854, he devoted much time to copying the works of the old masters in the Louvre. 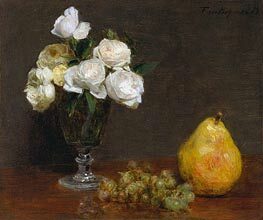 Although Fantin-Latour befriended several of the young artists who would later be associated with Impressionism, including Whistler and Manet, Fantin's own work remained conservative in style. 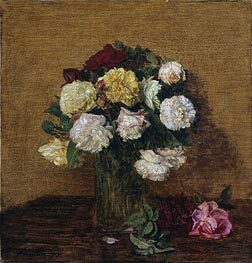 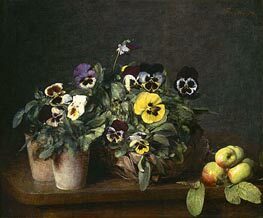 Whistler brought attention to Fantin in England, where his still-lifes sold so well that they were "practically unknown in France during his lifetime". 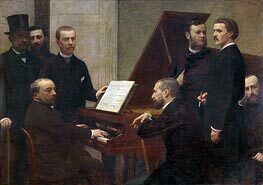 In addition to his realistic paintings, Fantin-Latour created imaginative lithographs inspired by the music of some of the great classical composers. 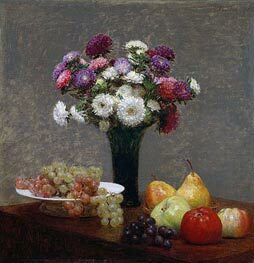 In 1875, Henri Fantin-Latour married a fellow painter, Victoria Dubourg, after which he spent his summers on the country estate of his wife's family at Bure, Orne in Basse-Normandie, where he died of lyme disease.